PSG Holdings latest projects, news and events. 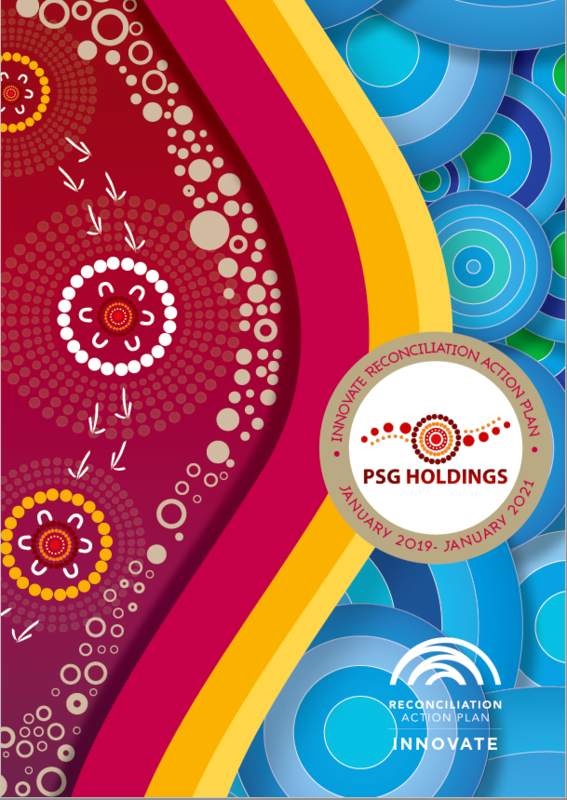 PSG Holdings has developed and launched a Reconciliation Action Plan (RAP) which will help the business remain focused on their commitment to the cultural education and activities within the company and for or Aboriginal and Torres Strait Islander communities. PSG Holdings are commencing work at four new sites in Townsville, for two new clients this week. Adam Beckett, our National Operations Manager, and James Mcvicar, QLD Area Manager, are in Townsville for 6 days currently rolling out these projects. We have inducted 13 new team members and 8 are local Indigenous men and women from Townsville. Troy Rugless and Mark Coleman talk about PSG Holdings, and how the Australian Government's Indigenous Procurement Policy (IPP) is helping us to expand our business. PSG’s “Indigenous Female Employee of the Year” Award was established to recognise the contribution made by Aboriginal and Torres Strait Islander women to the success of their businesses and organisations. Judging criteria..
PSG Holdings are proud to see our Principal, Troy Rugless, discussing Indigenous success and opportunity as part of an interview with Stan Grant..